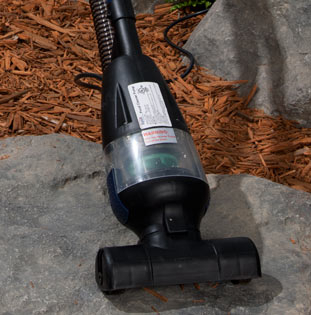 Alpine's NEW Pond Vacuum is quieter than your traditional pond vacuum due to its submerged motor. With the lightweight and adjustable telescopic handle, this vacuum will help turn a two day cleaning task into a one day cleaning. The high powered motor can remove debris up to one inch in diameter including sludge, leaves, algae and more.